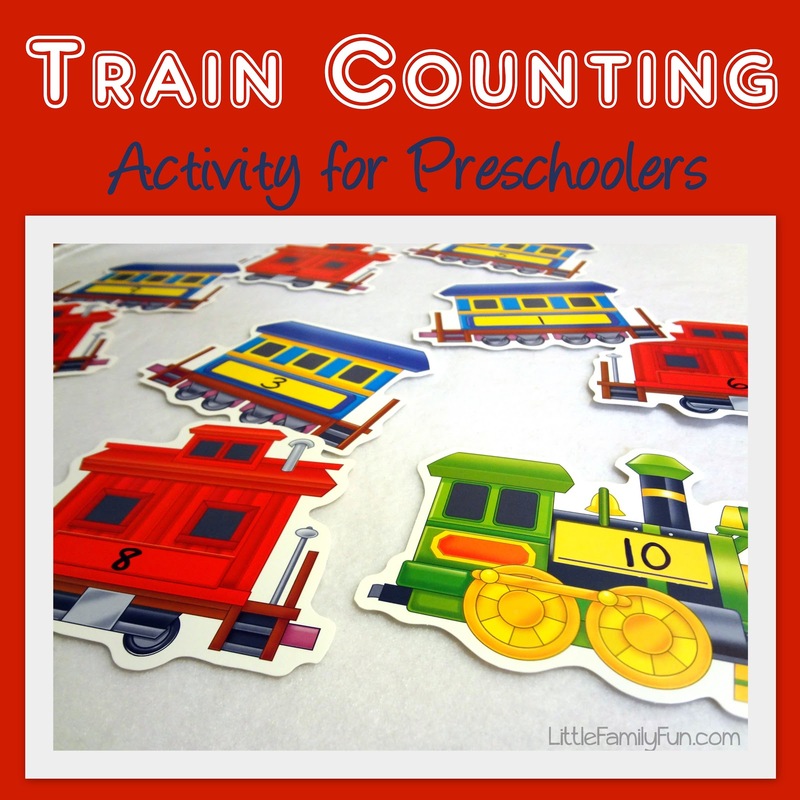 Last week our theme was TRAINS! But this was a fun counting activity. It was good for LB(3) to practice recognizing numbers and putting them in order. And he LOVES trains so it was a fun way to practice! So, whatever trains you decide to use, just write the numbers 1-10 (or lower, or higher) on them. Lay out all the trains on the floor. Then have your child line them all up in order, connecting the train cars together to make one big long train. That's it! You could also play other fun games with these. Any other ideas? This is a very good idea and it can be done in the classroom as well! I love how your ideas are always so creative and easy to do! "Train" week---my boys would love this theme!! Great idea, thanks for sharing!